Sometimes, you just need a little boost. So, I had a low the other day. One of those lows that happen from working around the house and eating too little to keep up with the basal on your insulin pump. I wasn’t terribly low. About 70 mg/dL. I didn’t need to eat all the carbs in the house. I just needed a little boost. Fortunately, I had a little time, or I wouldn’t have taken the time to do this, though it didn’t take too long anyway. 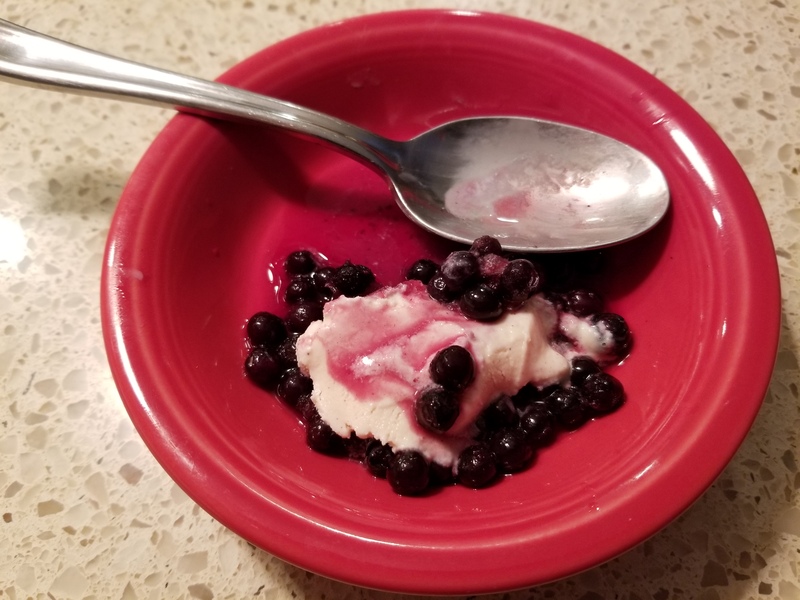 This is a small dish with some frozen blueberries, a little of my favorite cherry/cranberry juice to help melt and plump up the blueberries a bit. 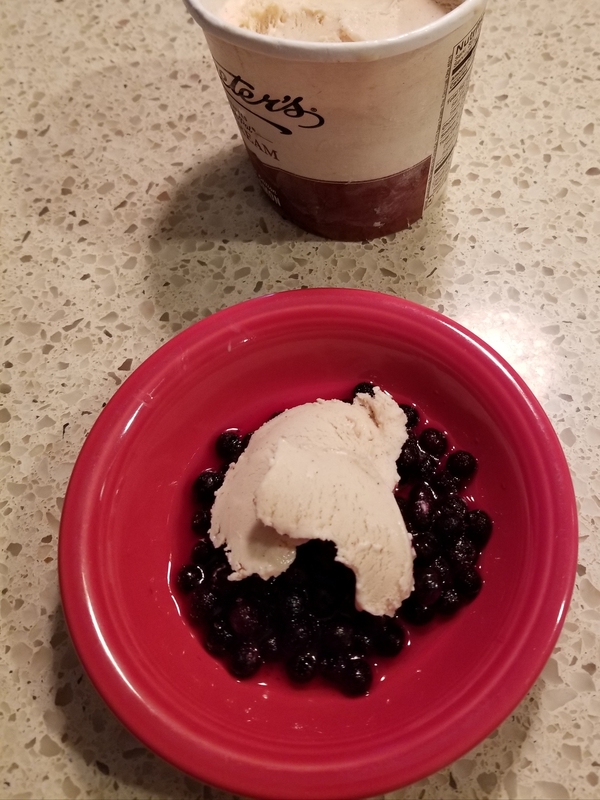 And just a little Graeter’s cinnamon ice cream. Once everything began to melt, the taste got even better. Sometimes, you don’t need a gallon of juice or an entire bag of candy to bring you back up again. 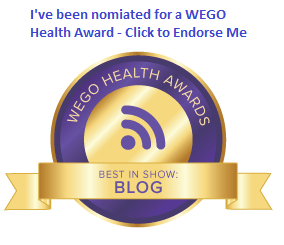 This brought me up to around 115 mg/dL within half an hour. I was good to go until dinner. Quite the pick me up on a busy afternoon. Or sometimes you want the whole 10 gallons and 15 pounds of blueberries. Oh heck make it 20 gallons. I am more the peanut butter hoarder / consumer.